Always opt for shampoos, conditioners, and stylers that are labeled “safe for color-treated hair.” These products are formulated without sulfates and parabens, which could fade color or bring out unwanted, brassy tones. True story: Water dulls hair color, especially reds. Hold onto your pigment by shampooing as little as possible, and getting a good dry shampoo for the off days. Ours has panthenol and vitamin E, so it can cleanse hair without drying it out. When you do suds up, give just-conditioned hair a nice cold rinse to seal the cuticle and preserve your color. While some folks disagree on this one, we're decidedly pro. Added bonus? A spritz under cold water and you'll feel more alive than ever—promise. 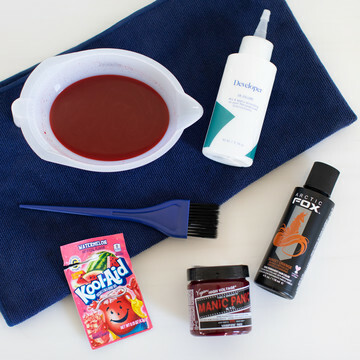 It's no secret that healthy hair means better color, and this is especially true for reds. 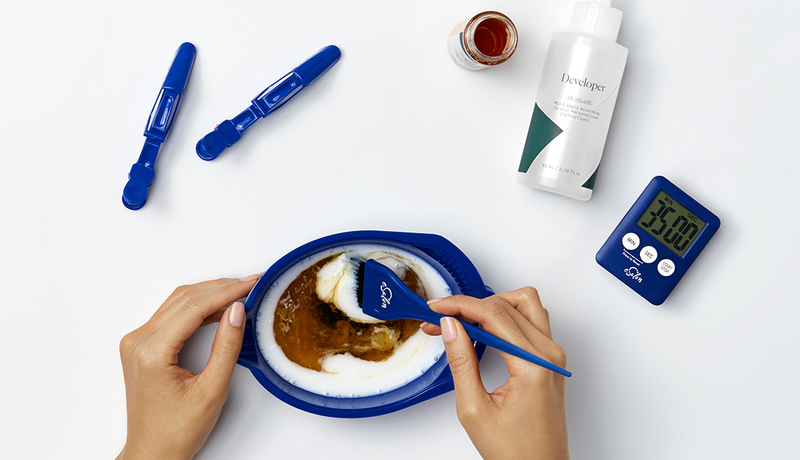 Get ahead of process-worn locks with a moisturizing deep conditioner the day before your color application, and once a week thereafter. Look alive between color applications with an enhancing treatment like our Tint Rinse—the colorist secret weapon here at eSalon. It's available in a range of shades, so you can target your treatment and prevent the fading that can happen over time. Because of the nature of red pigments, redheads need an all-over color boost more often than their blonde or brunette counterparts. So for consistently rich, even color from root to tip, be sure to keep those color refreshes regular. The sun is another serious culprit in the case of dulling color. Extend the life of your shade (and protect yourself from UV rays) by covering up whenever you hit the great outdoors. Between dried-out strands and altered tones, pool water can be color kryptonite. You can avoid over-chlorination by wetting hair with tap water and adding just a tad of conditioner before you take a dip. Better yet? Try a swim cap. Did we mention that sun fades color? Because it really, really does. Put your best red forward with a daily leave-in conditioner that also has UV protectant properties. Our Leave-In Conditioner has that, and it lets you get your shine on. #Win. Semi-Permanent & Demi-Permanent Hair Color: What’s the Difference? Demi-Permanent vs. Permanent Hair Color: Which is Best for Me?